Cheyenne Mountain Entertainment: What's Comin' Round the Mountain Next? Cheyenne Mountain Entertainment (CME) have been on a heck of a ride, especially for a studio that still hasn't released a title. Coming out publicly in July 2005 with the hiring of Joe Ybarra, the real surprise came in January 2006 when CME announced that Stargate Worlds (SGW) was being developed. As an IP SGW held a strong potential fit for a MMO, with its visiting distant multiple worlds and mix of action and exploration. Despite taking about 7 months to formally announce SGW, the name of CME comes from the Stargate series - Cheyenne Mountain being the home base for the original series - so some things had been planned for a while. Development of SGW continued with announcements of BigWorld and the Unreal Engine 3 being commissioned for the game. In theory, buying off-the-shelf applications such as these should have helped reduce the time take to develop SGW, although this won't really be known until SGW launches. Assuming it launches. Things get interesting in April 2008, when CME announces the formation of FireSky, a publisher for SGW and other online titles. Although not widely noted at the time, the official press release mentioned "the development and publishing of games for Social Networks At Play™ (SNAPs), a unified theory of online gaming that combines social interaction, economies and game play across a variety of titles" and "Project: Ascension". To be fair, it probably wasn't noted because no-one knew what the hell that particular collection of buzzwords meant. FireSky went on to announce in May 2008 the formation of Superstition Studios under Shane Hensley (whom I strongly believe are working on a Deadlands MMO) and Handcranked Games (which appears to be the love child of some senior CME developer people - no announced projects, a lot of employment vacancies but a "top priority is putting the Social into SNAP games"). (I can't find it announced separately anywhere, but Mass Illusions pops up as a FireSky studio on some people's info.) For a studio without a title to its name, self-publishing is risky; it's even riskier when you are supporting three or more studios without a revenue stream. The SGW beta started late April 2008. August saw a number of interesting (at best) and questionable (at worst) publicity stunts - taking over a train station and having a custom fleet of hummers at the Leipzig Games Convention - that would have cost a bomb for minimum return on investment. This didn't look very good in September when claims were made that CME was in cashflow trouble, which the studio admitted to but downplayed. The rumours of cashflow problems re-emerged in December, when an anonymous website claimed that CME hadn't paid its employees for an extended period (at the time of launch it was around 21 days; now it is up to 77 days). Again, CME acknowledged the problem but downplayed it. Some employees commented on the impact of not being paid, so it wasn't a fake story. The most recent twist to the tale is CME's founder and chairman, Gary Whiting, being linked to a multi-level marketing (MLM) scheme that leveraged off SGW and other CME properties (and older Whiting properties such as ItzYourMall) in a bid to raise US $50 million. Although Ten Ton Hammer backed off (while ironically being challenged by some people in hating CME / SGW after just having done a charity collection for CME employees) the fact is that when the Chairman of your company is trading on your best know product to market an incentivised social network (a social network at play, perhaps?) then there are some very big problems going on. Regardless of the non-existence of a contractual relationship, the founder is, from the same building, running an organisation that is potentially damaging a variety of CME's brands. And all of this is happening without any indication of SGW coming out at all. A cash strapped company, a founder who is potentially doing some questionable marketing-related activities, a publisher with multiple studios but no published titles, all set in an economy that appears certainly aimed at a recession. It will certainly be interesting to see what comes around the mountain next for CME. UPDATE: fixed a spelling error, added in a dollar amount for the multi-level marketing attempt, added in a link to back up a point, clean up at the end since I had to rush off when writing the original article. Also, it appears that Steve Williams, he who wasn't paid by CME and could have very easily missed out on seeing his kids at Christmas, has left CME and gone to Carbine Studios. He may have also been paid recently, though whether the money came from CME or Carbine isn't clear (although I'd suspect it would have to be from CME, unless Carbine pre-pays employees for a month's work). Final point: I find it very interesting that the MLM scheme latched onto the Social Networks at Play angle of CME / FireSky. It's a buzz-phrase for sure, but it is very thoroughly integrated into the whole MLM scheme. So, here's the controversial bit: this MLM has had a lot of planning and lead time put into it, going back to at least April 2008 when FireSky launched and Social Networks at Play started getting thrown around by CME / FireSky.  Look at the definition given of a Social Network at Play: "a unified theory of online gaming that combines social interaction, economies and game play across a variety of titles". It fits exactly with the MLM scheme as presented. It is pretty unlikely that this MLM scheme was thrown together at the last minute. The campaign rollout shows a lot of coordination and organisation. Someone is responsible for getting Social Networks at Play into press releases for CME and FireSky. Groundwork was laid all over for something like the MLM to be rolled out in order to attract revenue. The original idea might not have been an MLM - it might have been closer to a Steam / Station Pass set-up together with a gamer social network tying gamers to CME / FireSky, or even something else that would fit that definition - but a MLM is what the public got after CME continually ran into cashflow problems. It is certainly an issue for CME / FireSky that has Gary Whiting's face on it, but the MLM has been tied longer to SGW than a number of people want to realise. Ever logged into a MMO only to feel like you were the only player in the entire world? Welcome to my Pirates of the Burning Sea (POTBS) trial experience. During my 8 day trial, I didn't see, hear, talk to or generally even find any evidence of other players, down to the auction house that had no player generated listings. Although nice to have my own server, it left things feeling decidedly empty. I even tried the perfect method of finding other players - I, in my newbie fresh meat trial form, turned the PvP flag on - but still saw no one. Hmmm. Perhaps it was because of the trial I was on. Thanks to Gamearena / Telstra BigPond, there is a long-running free trial for POTBS available. However, given that the original server for this offer is shutting down, I don't think it was that successful. So, picking the Defiant server - the new one, the server supposedly that players were moving to - I created a character. As an Australian, being French or British held no appeal, being a Pirate was too cliched, so I went with Spain. Since I still wanted to be a bit morally flexible, Privateer was the best class for me. I'll start off by saying you can make some absolutely great looking avatars in POBTS even at start-up. There is a lot of flexibility to look like a sea captain straight off instead of the typical "brown pyjamas" costume that a lot of MMOs start players off with. Even newbie captains can look good in POBTS. From this point, quests split into one of two types - either blow something up with your ship or kill opponents in hand-to-hand combat. Ship combat was both fun and frustrating - fun because there was a definite tactical aspect that had to be learned, but also frustrating when stuck turned into the wind or against opponents you would not be able to defeat (my lvl 8 Privateer found a lvl 11 British frigate in a mission that made short work of me). And, although it was fun to pick a tactic against a target - do I take out the crew and board them? Do I take out the sails? etc - the reality was a lot of time is spent waiting for your cannons to reload to take another shot. Hand-to-hand avatar combat also had some positives - and made for a nice change of pace from the ship missions - but it felt at times like a less flashy and slower version of City of Heroes / Villains combat. I did like that the sword attacks often had area effects in front of you like the blade was live, but there was a disconnect in action of using the sword and its animation on screen. Hand-to-hand just lacked the connection that such close quarters combat should have to make the situation involving. Given I seemed to be the only Spanish player online, I thought I'd switch sides and become a Pirate to see if anyone else was around. Unfortunately once you pick a side you are fixed to it, so I was stuck being the only Spanish character online. All the crafting, trading, shipyards etc aspects also seemed nice from afar, but I was bewildered at the array of options so never did anything other than assign what I collected as loot to character / ship inventory slots. Perhaps my play experience would be different on another server, but I really didn't find much to hold me to POTBS. The ship content was different, but cursing your vessel as you were stuck into the wind and being pounded by enemy cannons eroded some of the fun of (for example) running a blockade. Hand-to-hand combat lacked that connection I needed to draw me in. Although POTBS looks good and appears to offer players a lot of options, it didn't have what I needed to keep me playing. Besides, being the only player in a world built for thousands just makes things seem really, really shallow. Ragnar Tornquist of Funcom has revealed in his blog that his pet MMO, The Secret World (TSW), will be getting a lot more information released about it this year. This is good, because a title that started work in 2002 probably should start releasing information seven years later or really shut up shop. Personally I'm excited about TSW - I want a dark modern MMO title to try out. It's a genre that really hasn't been touched on yet but one with a lot of scope. Of course, the fact that 1) Funcom are developing it and we all know what happened with their last title, and 2) the blog entry itself boils down into "we'll release more information, but given you have very little information now, any info release will be 'more' by default, plus we are changing systems you never knew existed', so perhaps I'm getting excited over very little. However, Tornquist promises the right things to get me interested - interesting professions, conspiracies to uncover, a modern setting with a dangerous twist. I may still end up with a lvl 35 Crytpozoologist who is on a quest to Kill 10 Bigfoots, but I choose not to be so cynical at this point. 12 people rated this. 5 bumps / 7 buries! Information is coming out that the Warhammer Online (WAR) client is hackable in a multitude of different ways - stealthers can be detected on a radar; WAR characters can super leap, fly or superspeed their way around; characters can auto-rez, etc. Here's a video on YouTube of some of the hacks. It's not surprising that in a PvP game (well, a game that promised really hard that it would be about PvP) that players would attempt to use use hacks. What is surprising is the amount of information that WAR apparently lets the player-side client handle. It is not like client side hacking is new, or that it is easy to stamp out (even World of Warcraft has been impacted from time to time by them) but it is a pretty basic issue that MMOs face and should aim to minimise in terms of in-game impact. It's a programming law that "the client is in the hands of the enemy", because players will use the client in a myriad of ways to get an advantage. MMO developers should have as many protections as is feasible to stop them, including limiting the amount of information sent to the client to the bare essentials. Perhaps I should be surprised that Mythic didn't put more design time into avoiding these issues, or more countermeasures to stop them. Especially when Mythic had to deal with very similar issues with Dark Age of Camelot. The DAOC radar hack is probably the most well known, but speed hacks and teleport exploits certainly weren't unknown. But then WAR has been underwhelming across a wide range of areas: why not also exploit protections? 21 people rated this. 12 bumps / 9 buries! 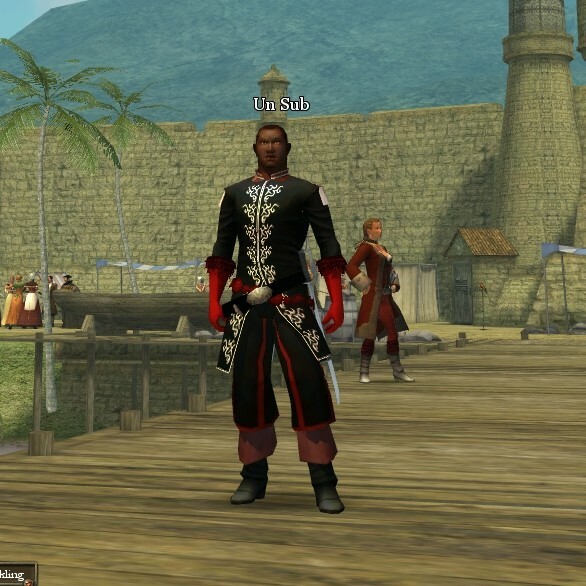 Two interesting blog posts have popped up surrounding the closure of Tabula Rasa (TR) which come from the other side of the fence: Adam Martin, former Chief Technical Officer (CTO) of NCsoft Europe started it off, with Scott 'Lum' Jennings giving his perspective. It's a rare view, even if both men weren't directly involved in the development of TR. What is interesting in this discussion is that the problems with TR were well known within NCsoft North America. Everyone was being forced to play it to provide feedback and everyone knew TR was a black hole sucking people, money and morale into it at a frightening rate, especially as it approached its launch. But the majority appear to have put their head down and ignored that sinking feeling. Management appear to have had too much invested in TR to see it fail or to delay it yet again so they pulled the pin because the game wasn't that bad. The resulting explosion was, of course, more of a whimper than a bang, which resulted in lots of finger-pointing, projects being culled (including Lum's Blighted Empire, for which he details his own problems about) and what has become a general decline in importance in the non-Korean market for NCsoft. Another issue was in having three big names in development at the helm - Richard Garriott, Jake Song and Starr Long. Who would you take an issue to if you had a problem? Who'd make the final call if everyone couldn't agree on an issue? Although Jake Song left in 2004 when TR went into a new development cycle, it still left two captains to steer the fair ship TR, which obviously didn't work out for the best. There probably aren't any easy answers to come out of TR's demise, even with this information. After almost 8 years in development, another delay to TR would have been highly embarassing. North American management needed to deliver on promises they'd been making to Korean management in developing their own title. There was a lot of investment in a result. Also, telling the naked truth - that TR wasn't ready to ship, that it needed more time - would have seen heads roll, probably of the person who stood up to tell it. Lum tells of how he had to go to management and say that his title, Blighted Empire, wouldn't be able to meet their schedules. He doesn't work at NCsoft anymore. "Launch when ready" is a fine platitude for forum warriors, but it is much harder to see from the other side when a lot of money is on the line. Stories like that of Martin and Lum are good insights into how the MMO launch process can go badly awry, even if people know there are problems. 12 people rated this. 8 bumps / 4 buries! In an interesting addition to the Wikipedia deleting MUD history story that was raised last week, it appears that the Wikipedia entry for Mythic's cancelled title Imperator has also been scrubbed. The reason given is that the entry was "dependent on a deleted or nonexistent page". Although Imperator is definitely a footnote in MMO history at this point - Mythic's first announced title after Dark Age of Camelot, the source of many "ROMANS in SPAAAAACE" jokes and the title that was dumped in favour of Warhammer Online - it's the kind of footnote that Wikipedia should be perfect for remembering. In my opinion, computer gamers are lousy at computer game history and its lessons. For most people, gaming started from the age they started gaming - before that is a complete grey area. This is for a number of reasons, most notably because of the different platforms that gaming has evolved on and because players don't like to regress all the features they are familiar with, but it is still a gap where the lessons of that history often get lost. There is still some information around about Imperator. The official site still exists, as do articles in Gamespot and other sites. But it isn't on Wikipedia anymore, which makes it a little bit harder to stumble across or to learn about from an commonly used source. In turn, this makes it more likely that some of the pages linked here will fall to the bottom of the pile and get scrubbed or removed as sites go through housecleaning phases or go offline. Shouldn't be too hard to build a more robust Wiki page for it, should someone be that way inclined. What is interesting about Warhammer Online (WAR) is how many of its core things it missed out doing well when it launched. A lot of the stuff that had been promised - the "WAAAAGH is everywhere! ", the intensive RvR experience, the taking of learnings from Dark Age of Camelot (DAOC) and applying them to a new game - fell very short. War was hard to find in RvR zones because players were too spread out and in-game incentives promoted other types of play. RvR was so undermined by server crashes that it 1) because a griefing tactic, and 2) Mythic had to implement population limits around fortresses. So war is everywhere, but don't all come at once. And there are other numerous problems that WAR has experienced that I consider above and beyond acceptable for launch from an established MMO development studio. So what happened? I've got no inside sources, no exciting "the lead dev stole medication from employees' desks" -style stories about why WAR failed to perform. But looking at WAR I see plenty of evidence of second systems effect. Second systems effect is the well recognised human behaviour of over-designing a second project to include all the things that weren't included in the first project. This leads to huge development times, large and complex products that are more error prone thanks to that complexity, and generally a product that promises to exceed the original in all ways but actually under-delivers. Sound familiar? Part of this second system effect has to come from the gap between DAOC and WAR... and that gap's name was Imperator. Imperator was meant to be mainly PvE with very limited PvP and it certainly seems from the state of WAR that this was carried over as a design reality (if not intent). It's unlikely that there ever be a full accounting of what design decisions and systems for Imperator were carried over into WAR, but its unlikely that everything was thrown out when Imperator was cancelled in favour of WAR. Imperator: You're going to be waiting there a while, Legionnaire. The next evidence of second system effect is much easier to see - the race / class / realm design. Everything was bigger in WAR. The scale of the conflict increased with three pairings (Greenskin vs. Dwarf, Order vs. Destruction, Dark Elf vs. High Elf) rather than just three regions (Albion, Hybernia and Midgard). The original design had every race with a massive capital city (six in total) even if only two were available at launch.The size of the overall landmass was bigger as a result. The number of unique abilities for each of the already large number of classes increased. WAR gave players a lot more options, but this had the accidental effect of spreading the player base further and making WAR seem empty while also being harder to find specific classes to play with. Mythic also added in a number of extra advancement measures - DAOC had an XP bar and Realm Points; WAR got an XP bar, Realm Ranks, a PvE Influence bar for each chapter, an RvR influce bar for each Tier, a stack of separate measures in the Tome of Knowledge et al. That's a lot of bars to track, or to grind out for the rewards, with it being arguable exactly how much extra fun they bring to the game. And so on. So much seems to have been squashed together in PvE, scenarios and PvP that the good ideas - Public Quests, for instance - are overridden by features and systems that impede gameplay. In other areas, basic systems - like text chat - were completely neglected and possess only the bare minimum functionality. It is good to be ambitious - ambition takes us places we might not have gone before. But ambition needs to be tempered with a slight bit of common sense. Mythic tried to make a title that did everything following the years of experience they'd had, when a clearer focus on one system. RvR, which they hyped as the "major focus" of WAR, was buried under a raft of other systems that all aimed to be best of breed (to out-WoW WoW even) but all ended up tripping over each other and delivering an unsatisfying play experience. It's interesting that few MMO studios or developers release a second title that is better than their first. EverQuest 2 tried to completely redesign EverQuest and took a very long time to gain traction. 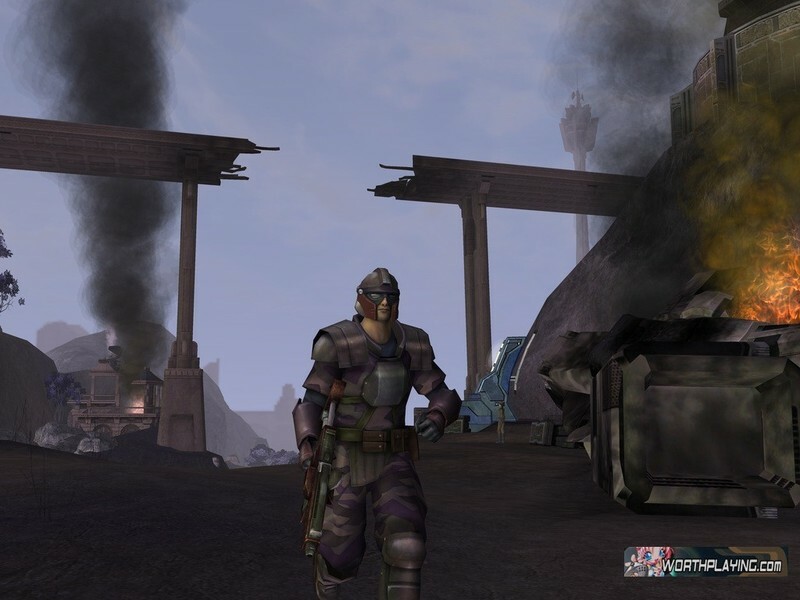 Raph Koster designed Star Wars: Galaxies to offer more than Ultima Online but ended up with numerous flawed systems in a title that lacked the heart of the Star Wars IP. NetDevil's fan favourite Jumpgate was followed by massive flop Auto Assault. Second systems effect accounts for some of these failings as developers attempt to outdo what they got mostly right the first time, only to fail to reinvent the wheel. Time will tell if WAR can overcome its shortcomings and transform into something greater than it currently is. However, it certainly isn't the title it was promised to be from launch and a lot of those shortcomings arise from overdesigning WAR to have everything bar the kitchen sink. Although people here mainly talk about DCUO and ChampO as competitors, there are an absolute ton of other MMOs coming out. All Points Bulletin, from the makers of GTA, offers cops vs robbers in a city environment. Stargate Worlds (assuming CME doesn't fall over and die) is a draw for the sci-fi gamer. Fallen Earth might be the indie MMO that could. And so on. Player generated content (planned for release in CoH/V's issue 15 - no ETA indicated at this point) might help keep some players, but there are a lot more options coming on board that CoH/V will be competing with that aren't fantasy MMOs or restrict players to just being space ships. Tabula Rasa burned NCsoft badly. If you look at their upcoming product line, the focus is strongly on Korean gamers with North American gamers a distant second. Aion, Blade and Soul, a ton of smaller themed MMOs are being developed in Korea for Koreans and might be translated for the NA / EU market later on if successful in Korea. The only other important (sorry Exteel and Dungeon Runners) NA-based NCsoft project I'm aware of is Guild Wars 2, which is currently under fairly information-limited development. Although CoH/V has been successful in the past (to the tune of $100 million in lifetime revenues) it has to maintain this success to maintain a high level of investment. Unfortunately the player subscription trend in CoH/V is negative, meaning it is slowly losing players. The risk here is if CoH/V sees player numbers continue to drop, all of the sweet new investment required to do exciting things with this title will evaporate. CoH/V currently runs under the Cryptic Engine v1.0 as far as I know. All the updates for it that Cryptic have been working on (i.e. the Cryptic Engine v2.0) stay at Cryptic and being used in ChampO - I don't think Cryptic would be migrating the latest updates down to CoH/V as a matter of course. Although it is possible for NCsoft NorthCal (CoH/V's developer) to be updating the engine and toolset as they go, that would also seem to be a continual drain on resources for an engine that is no longer receiving full studio support. Although not a trivial thing, CoH/V needs a newer engine than Cryptic Engine v1.0. Things like DirectX 10 support, increased expandability of toolset functionality and potentially some advantages in development (although no doubt any engine changes will also have some limitations, such being the way of the world) are required to let CoH/V move forward and keep up - or better - with the increasing number of competitors out there. Some people believe that CoH/V 2 is a certainty. I don't. But a new boxed set, complete with new city and new game engine? That I can believe. This is one of the key selling points for both DCUO and ChampO. If CoH/V doesn't have this when either of these products launch, it puts CoH/V at a big disadvantage. Although there have been cryptic (you can take the dev out of Cryptic, but you can't take cryptic out of the dev) hints about it, an official announcement on this and some details on the exact nature of customisation is really required before getting all enthusiastic about powers customisation coming to CoH/V. This isn't a message of DOOOOM. CoH/V has a very loyal player base, so the combination of all of these factors (barring NCsoft shutting down the game) isn't going to kill this title inside of 2009. But these challenges are going to make it difficult to grow, or even to retain the player numbers it has. Without growth there won't be investment. Without investment CoH/V could potentially see the development team return to the days of a dramatically smaller team. And if that happened, it might see some of the existing devs consider moving on to something new, rather than have to scrabble with limited resources. It'll be interesting to see where CoH/V sits on December 31 2009 - whether it is still the best superhero MMO available on the PC and attracting a growing following, a title that is rapidly losing steam against its younger, flashier opponents, or something else entirely. I wrote up a timeline of MMOs for 2008 - what happened and when for the most interesting stories. It isn't meant to cover every little thing, but a big point of it was to recap the amount of MMOs closed last year and the big launches that failed to stick with players (except for WoW's Wrath of the Lich King, which sold like hot cakes). You'll have to click the link to go to the full article and should note that if you do decide to post on f13.net that they don't take kindly to forum idiocy. Without doubt 2008 will be a year long remembered in MMO circles. New MMOs launched, new MMOs flopped, numerous planned and existing MMOs died. It certainly wasn't a boring year for MMOs - a big change from 2007 - and revealed to anyone who cared to look that the MMO audience today isn't following the same rules they did in the past. It isn't "build it and they will come" anymore, it's "build it and they will come for the first 30 days and then god help you if you aren't up to scratch", meaning the MMO industry right now is kind of like a version of Field of Dreams where Kevin Costner's farmer goes bankrupt and has to sell the farm because he'd cleared valuable cropping land and built an expensive baseball diamond following a whimsical voice when he should have just harvested corn. Or maybe that's stretching an analogy. Regardless, let's look at the "highlights" of MMOs across 2008, month by month. The rest after the click.